Take a ride on The Cheese Highway™. Grab a piece of Wisconsin artisanal cheese (maybe Hook’s 10-year aged cheddar or Roth Käse’s GranQueso) and place it on your tongue. Let it begin to melt into your taste buds, oozing flavor, crystalline granules, and those beautifully complex characteristics that define handcrafted, artisanal cheeses. As you mash the cheese between the roof of your mouth and tongue, pay attention to all of the nuances of the cheese. Is it firm-bodied with a sharp bite up front and a lingering, sweet, and glorious finish? How would it taste with flavor enhancers like clover honey, golden figs from California, or Mustapha’s Argan Oil? Whatever the answer, now you’re riding The Cheese Highway with Barrie Lynn, The Cheese Impresario. 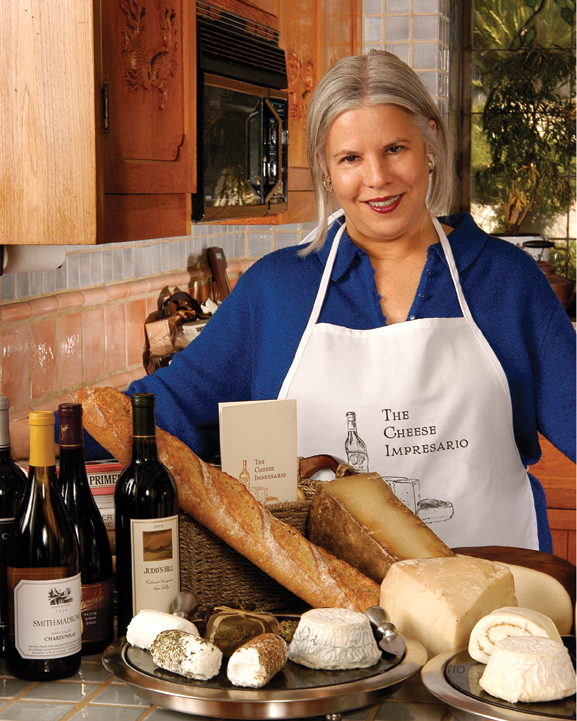 Organizing cheese tasting events, exclusive Hollywood cheese-centric parties, and relaxed and intimate cheese gatherings on her gotta-see-it-to-believe-it roof deck high above the hustle and bustle of Los Angeles, Barrie Lynn is all about one thing: the cheese. She does it right by developing close relationships with artisanal cheesemakers across the country, touring their family farms and creameries to explore her passion. For her, it’s all about this relationship, the artistry of extracting this unique end product from the land, grasses, and farm animals. Knowing the subtleties of the product, researching the history of the producer, and understanding this very organic and down-to-earth process make it possible to put together a harmonious tasting experience. Barrie Lynn knows how to do this better than anyone, and she makes you enjoy every moment of your cheese encounter.